Working with a small business has an undeniable appeal, with an intimacy of service that is hard for larger companies to match. 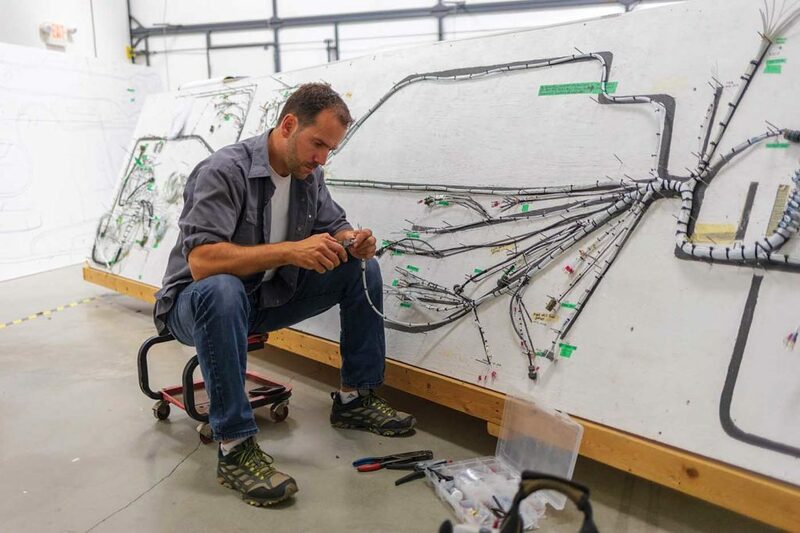 In Pitt Meadows, B.C., Aeronav Avionics has been maintaining and repairing the electronic equipment in aircraft for 15 years, and although it’s a small company, its combination of hard work, experience and passion have made it successful. As a private pilot, Carinha was flying and fixing aircraft straight out of school, but decided the technical side was more conducive to a family environment. Nearly two decades ago, while working for Erickson Inc. on contract from Helipro (now StandardAero), Carinha saw an opportunity to branch out into his own business. 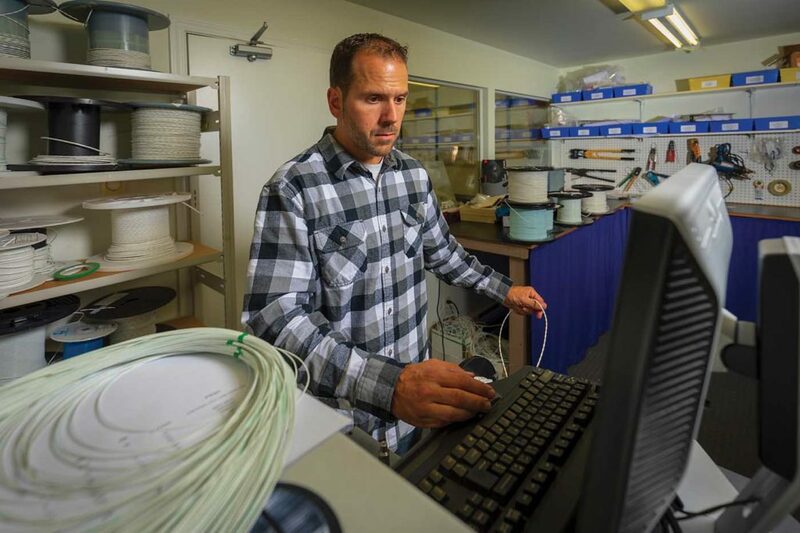 While at Erickson, he noticed the company had a UV laser wire marker–which was “all the rage at the time,” he said. 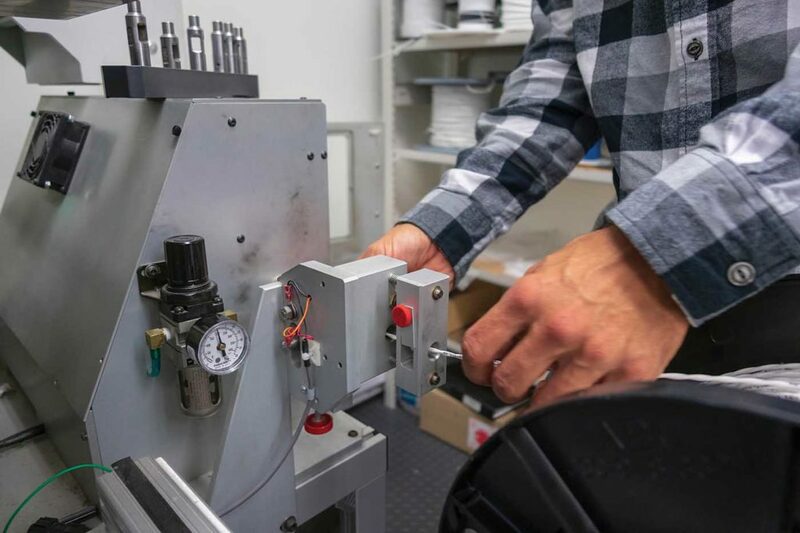 That particular model, the Tri-Star M-100L, had not yet been introduced in Canada, so when Carinha started Aeronav, it became the first company to bring the M-100L laser wire marker to the Canadian market. 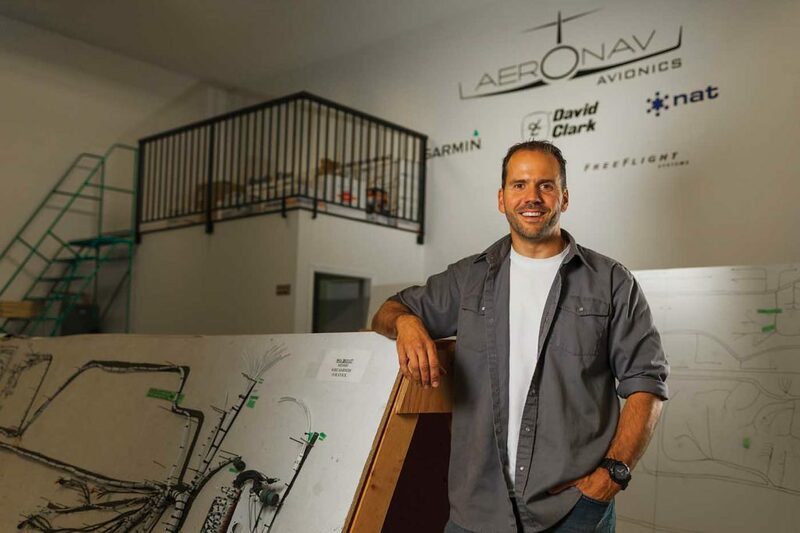 Aeronav operated out of Carinha’s garage for its first year, then moved into a facility on a six-year lease at Pitt Meadows Airport, and then, about seven years ago, Carinha building his own facility in Pitt Meadows. The company has just three employees today, with Carinha being the owner as well as one of Aeronav’s technicians. Aeronav works with both fixed- and rotary-wing aircraft, but Carinha said roughly 80 percent of the business is rotorcraft. 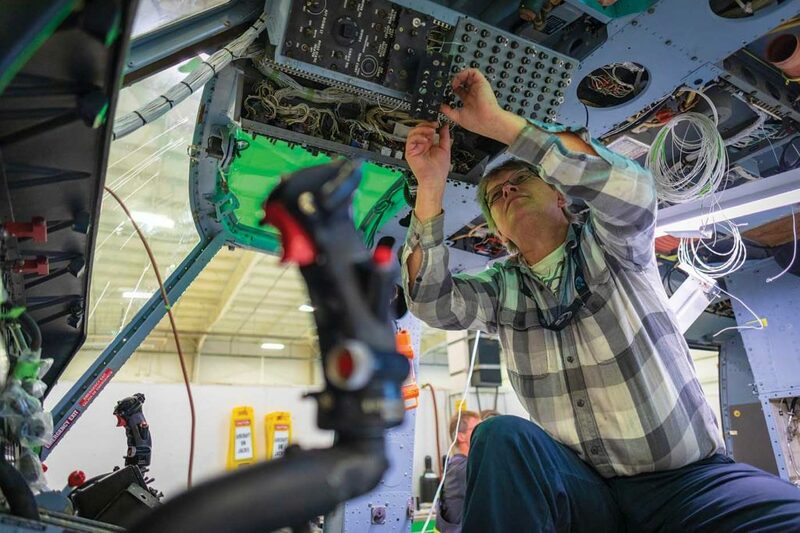 Aside from laser wire marking–which includes high-volume wire marking for other shops or competitors–Aeronav specializes in avionics maintenance, installation and sales; 24-month recertification on altimeters and transponders; and emergency locator transmitter (ELT) recertification. 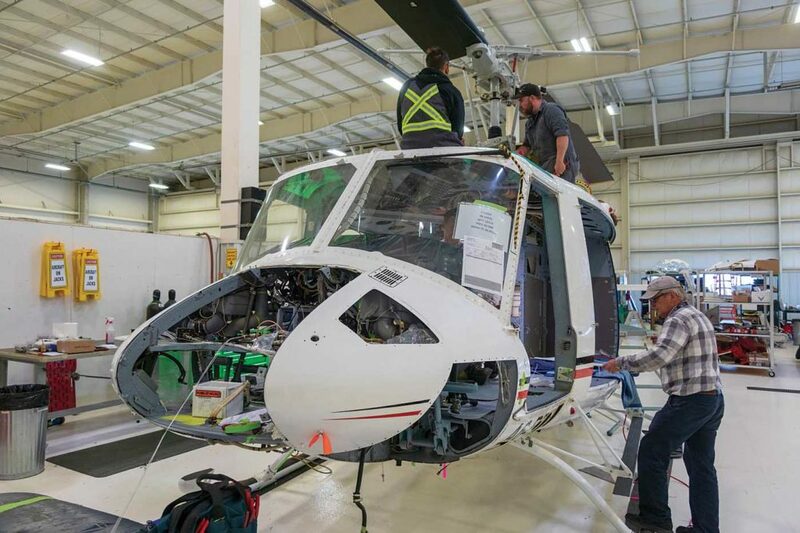 The company also has major avionics OEM authorization to operate as a dealer, which comes with warranty services and out of warranty services, where products can only go back to companies like Honeywell or Garmin Ltd.
Aeronav has worked on roughly 150 helicopters over the last 15 years. Carinha said the company’s “bread and butter” is the MD 500 and the Airbus AS350 AStar, but right behind those types are the Bell 407, 206, 212, 214, and 412. These aircraft are the most common visitors to Aeronav’s shop, but the company is capable of servicing avionics for any helicopter. “We’ll take everything and anything,” Carinha said. 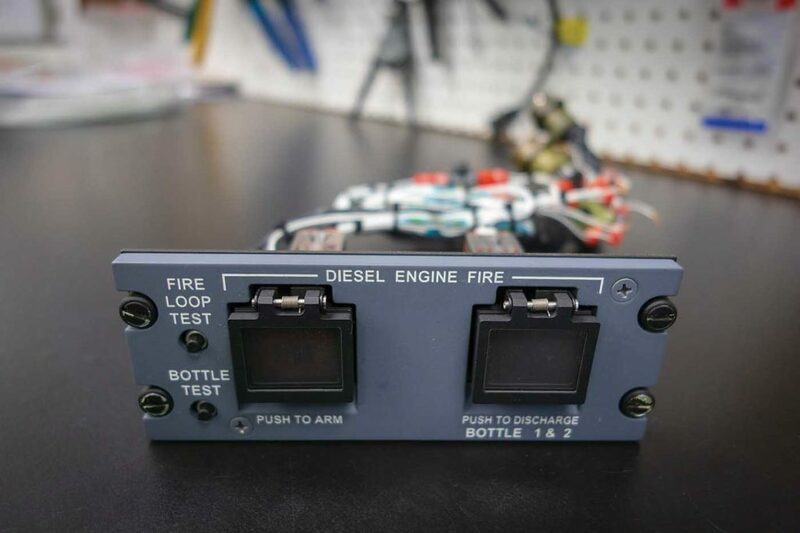 Of all its services, the most extensive and time-consuming project for Aeronav is a complete tip-to-tail rewire, with the simplest being service calls for ELT recertification or altimeter transponder checks. 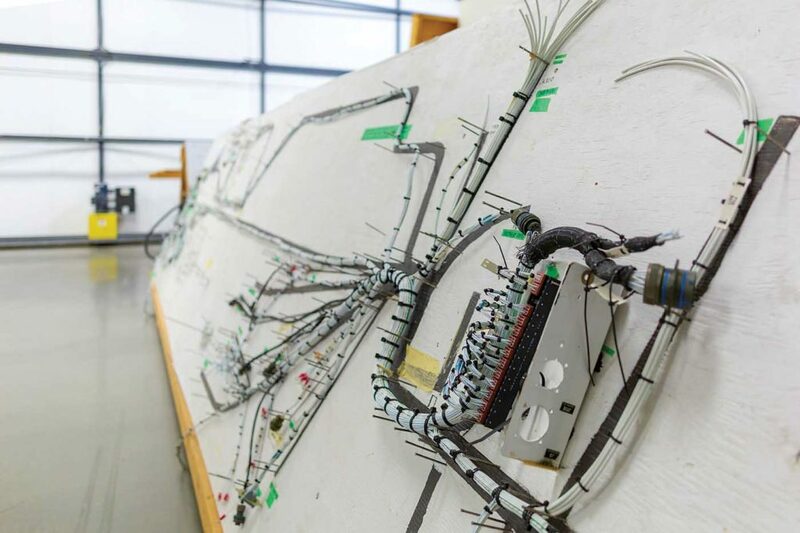 The MD 500 is a simpler rewire process, with Aeronav’s average lead time on the project being four to six weeks for a finished product. Away from the work on utility aircraft, Aeronav has branched out into working with the Philippine military with an ongoing, annual, month-to-month rotation of rotables and instruments–shuffling parts back and forth. 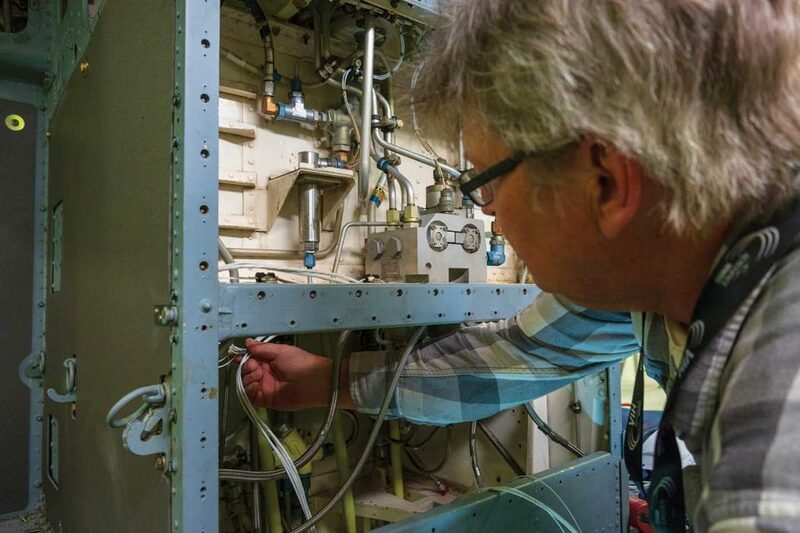 Carinha told Skies he may even see a need for hiring a few additional technicians come fall, as Aeronav is in the midst of a large, 2.5-year project for a Boeing Company affiliate, known as the Boeing 737 conversion program, which involves creating environmental disaster relief air tankers. With Aeronav having already delivered the first aircraft to to the end user, the company was starting on aircraft two when Skies went to print. And although Carinha said this project will keep himself and another Aeronav technician busy, the company will continue to provide timely service to any customer that needs help during the project. “We do everything the big [companies] do, just on a very different level of delivery,” Carinha said. Aeronav’s approach to customer service is one that’s quite uncommon, but never fails to please aircraft operators–especially those on a time crunch. And while the company promotes the ability to dispatch a technician anywhere in North America within 24 hours, it has gone above and beyond this promise numerous times. Carinha said Aeronav has gone as far as Bahrain on that notice, which is a 26-hour flight spread over three different legs. The company’s travel has taken it from Manilla in the Philippines to Canada’s Northwest Territories. “I was building a house with literally rollers and paintbrushes in my hand when I got a call from Windward [Aviation] out in Maui, [Hawaii], and I was on a plane that night,” Carinha said. And right next to the company’s dedication to customers are the skilled troubleshooting abilities of Aeronav’s technicians–which Carinha says is “truly an art.” It takes years to learn and master this art, so having technicians who can effectively and efficiently solve a problem within a given timeframe is something that can be hard to find–even within a group of 20 technicians at a larger company. 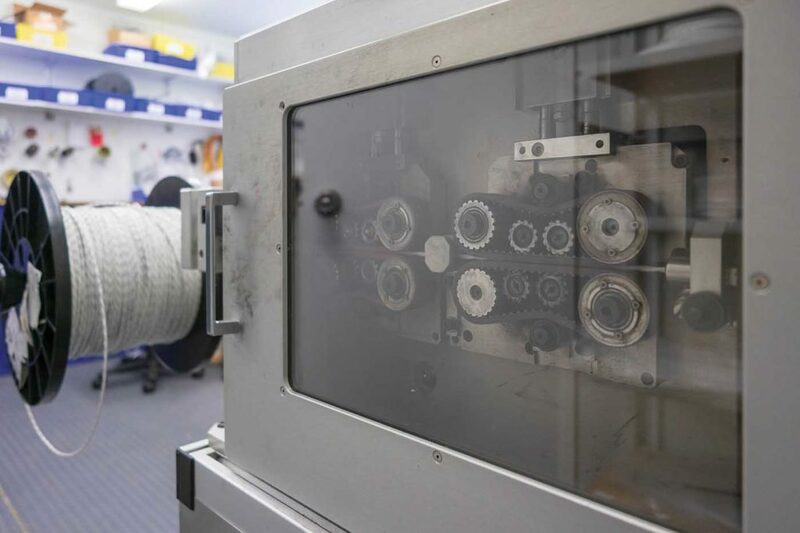 Carinha said Aeronav’s noteworthy dedication to its customers is what has sold the company for the last 15 years, and there are no intentions of scaling back the commitment moving forward.